It’s the most wonderful time of year. The holidays are upon us and celebrations are everywhere. Even the owls are dressed for partying. 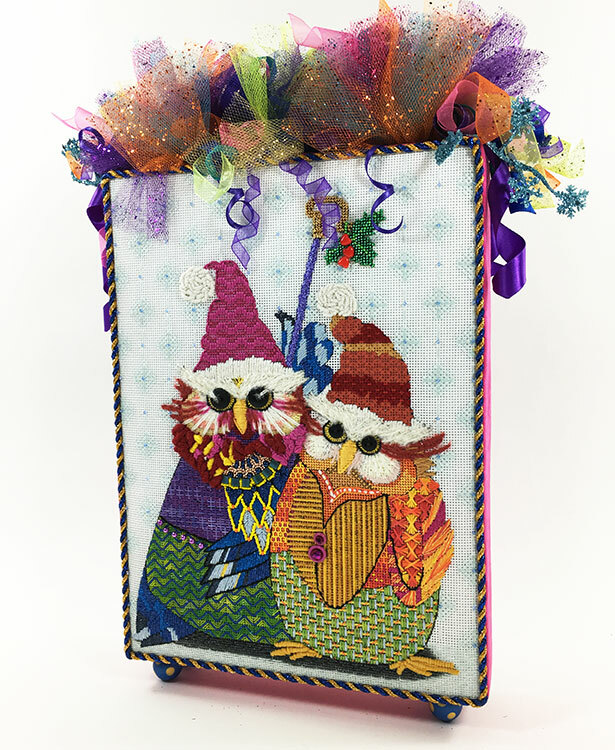 These are Brooke Connor’s Holiday Owls with 4 amazing finishes! I’m not sure which is my favorite. 🙂 One lives at the beehive so it better be that one right? 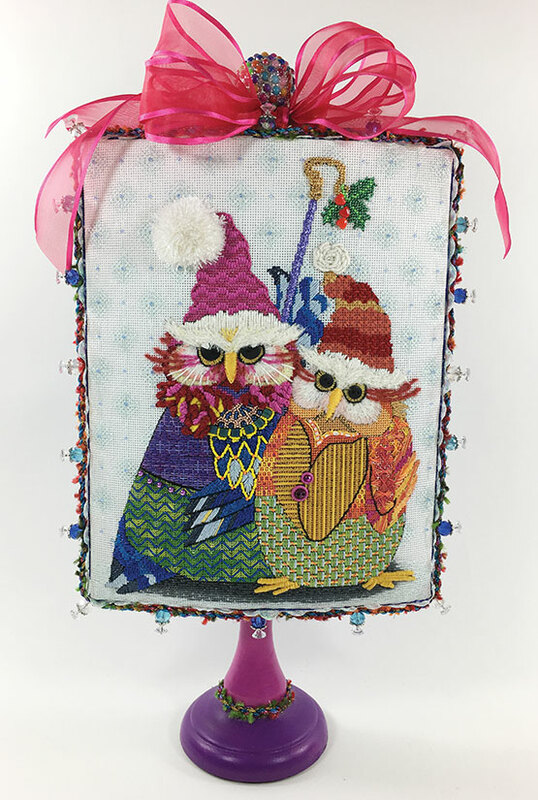 The Holiday Owls were a mystery class from last year and ridiculously fun to stitch. It’s happy and colorful and full of a little of this and a little of that. You know I like that. 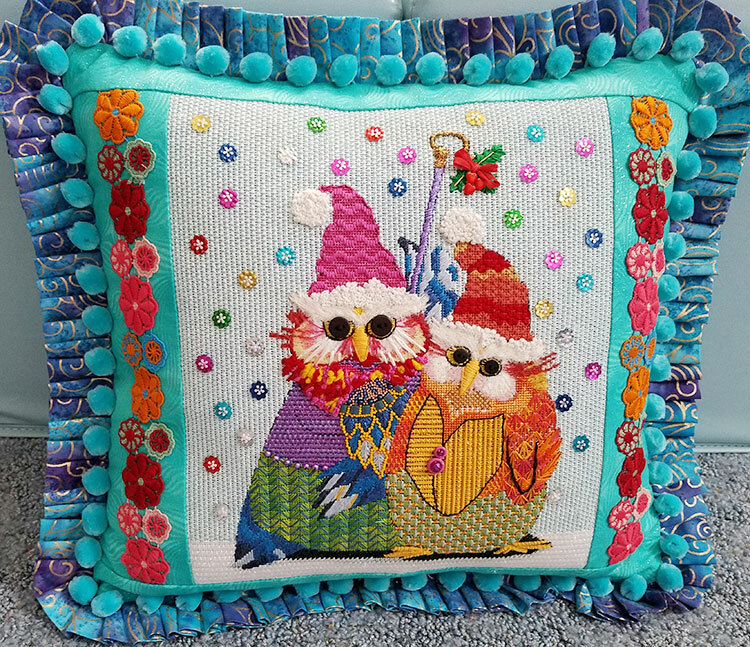 You could be stitching your own Holiday Owls this winter if you click this link…. Just sayin’ Here’s the link! 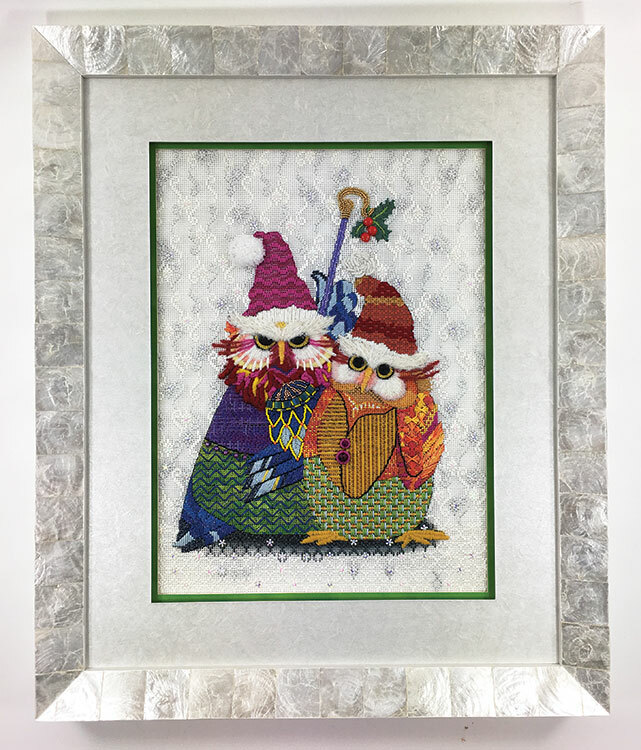 Happy Holidays from me and the owls. Thank you everyone for sending photos so I could show these off. « Previous Mystery Post: It’s Snowing! Absolutely Beautiful!! So very unique..
Do we have to pick? ‘Cause if so, count me out — I love them all! Ha ha ha! Yours is number 2! Clearly a lot of fun was had with this one!